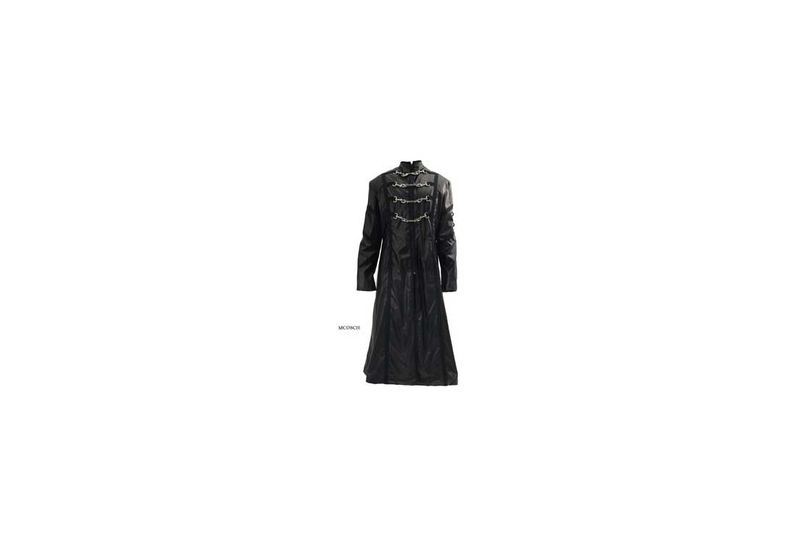 Black Leather Look spring clip trench coat. 4 Spring clip accents on the front, 1 at each elbow, and 1 at the center of the back with lace up eyelet back. Don't want Leather look? Check out the "Spring Clip Coat Canvas" for the same design, but canvas material. Imported from the UK. 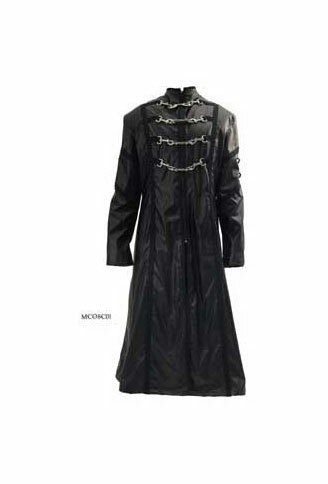 So I got this for Christmas, and I have to say it's a great addition to my trench coat collection. 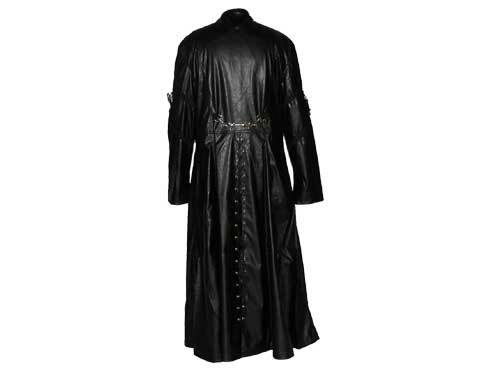 It's comfortable to wear, and the clasps can be utilized to transform this jacket into a cape worthy of Darth Vader. Though I must say it's very long, so much that it drags on the ground when I wear it normally. So I'd say order a size or two smaller, depending on what you're looking for. Overall I must say it's become my favorite trench. Would recommend in a heartbeat. Very satisfied indeed.